Imperial Royal Playing Cards published by S. & J. Fuller, 34 Rathbone Place, London, 1828. 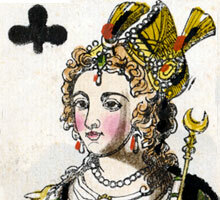 The court cards show sombre portraits of historical figures of England, Spain, Turkey and France. Three of the Aces are decorated with royal insignia whilst the fourth (A♠) is the Old Frizzle duty Ace. K♦ Emperor Charles V, Q♦ Isabella, J♦ Cardinal Adrian (afterwards Pope). 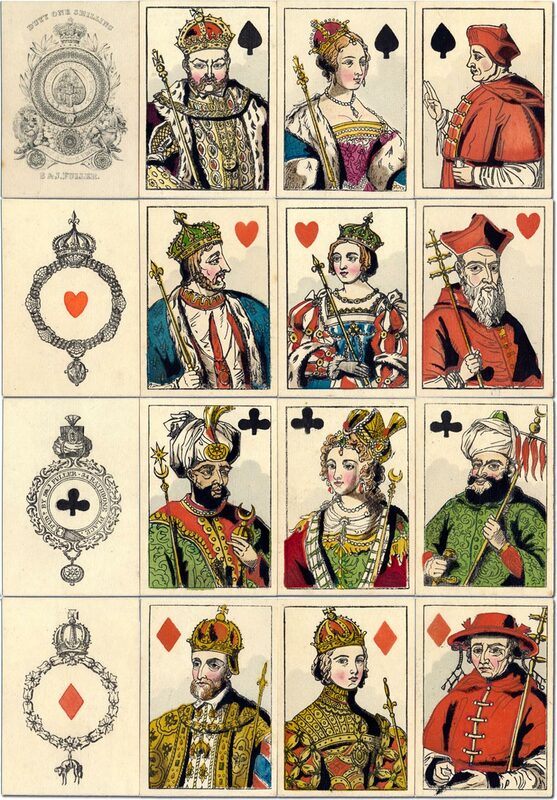 Above: Imperial Royal playing cards published by S. & J. Fuller, 1828. Cards from the collection of Barney Townshend.